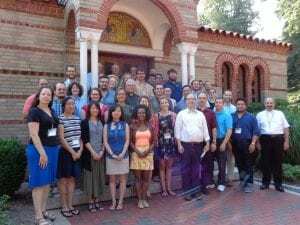 Earlier this year, I applied to serve as a teaching fellow for the summer studies program at the Pappas Patristic Institute in Brookline, Massachusetts. 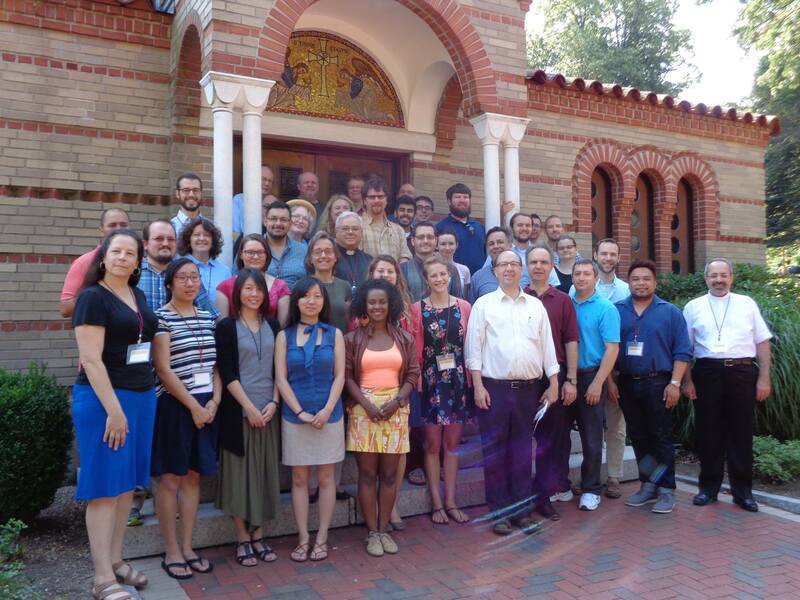 This is a week-long program designed for masters and undergraduate students as well as clergy and laity to have an opportunity to study patristics under the guidance of faculty who are experts in the field. Participants choose two courses to attend, one in the morning and one in the afternoon. Each course is designed and overseen by a professor, and most courses have a PhD student acting as the teaching fellow. In general, the professors choose the texts that will be read and give an introduction to the material, then the teaching fellows guide the daily reading and discussion of those texts. I t is a wonderful way for doctoral students to gain classroom experience, to get to know scholars in the field, and to discuss research projects with other graduate students. I was able to attend this program thanks to a graduate student travel grant from the SMU Graduate Studies office. I served as the teaching fellow for a course on the problem of evil in patristic theology and philosophy, a topic on which I had written for our core PhD seminar in philosophy of religion. My role was to field questions on the material and to facilitate the dialogue, which naturally turned out to be a great way of solidifying my own understanding of the topic. In addition to being a teaching fellow for this course, I attended another course which was more directly related to my area of specialization (patristic ecclesiology) and was able to make a significant contribution there as well.